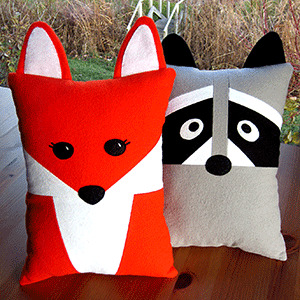 Make a cuddly Fox and Raccoon Pillow with an optional pocket on the front or back perfectly sized for the Tooth Fairy. 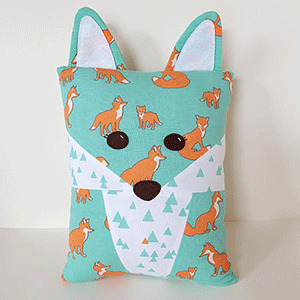 This smaller sized pillow is just right for toddlers or as an accent pillow for any age. 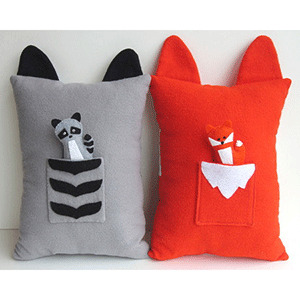 Also included are instructions to make sweet Fox and Raccoon Babies in felt that fit into the pockets. 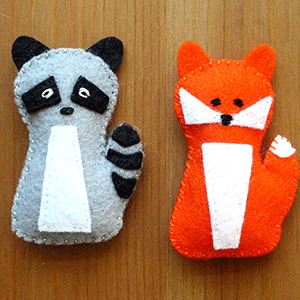 Make them as tiny toy, ornaments or stocking stuffers.